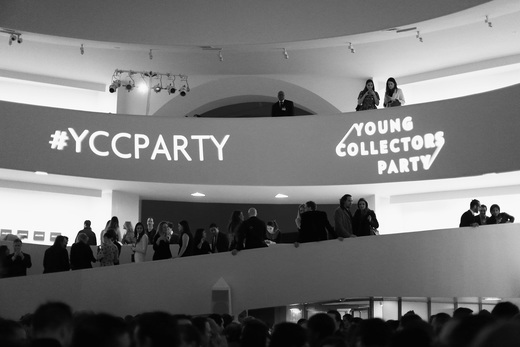 On Thursday, The Guggenheim Museum hosted its annual Young Collector's Party. 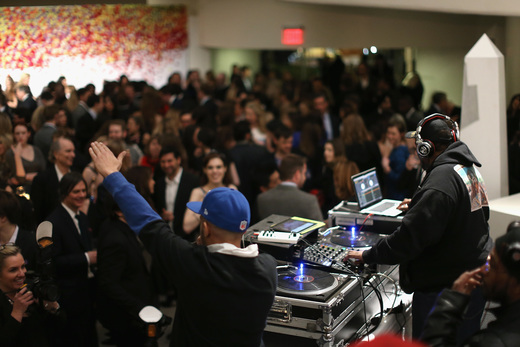 The evening supported The Guggenheim Museum in its pursuit to procure works by emerging contemporary artists. 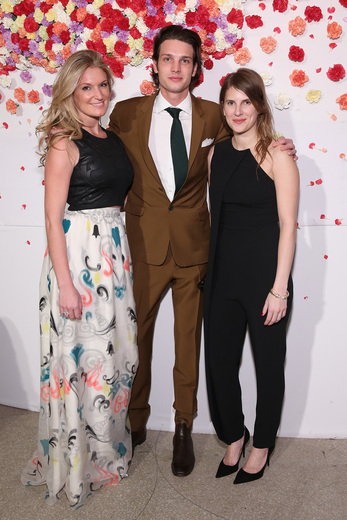 Chaired this year by Sarah Arison, Nell Diamond and Alexandra Economou, it was a night to see and be seen. Guests mingled in the main lobby, but trickled up The Guggenheim's signature spiral walkway to peruse the first-floor collections that featured impressionist works and mirror sculptures by 90-year-old artist, Monir Shahroudy Farmanfarmaian. DJ April Hunt opened the evening for DJ Africa Bambaataa who spun to a handsome crowd of New York socialites and philanthropists that included newly appointed creative director of Roberto Cavalli, Peter Dundas, Vogue's senior market editor, Selby Drummond, designer Prabal Gurung, model Dree Hemingway, Whitney Fairchild, Indre Rockefeller, Anna Wintour's daughter, Bee Shaffer, and more. Sarah Arison, Dylan Brant and Alexandra Economou. Nell Diamond and Selby Drummond.